I use this dough recipe to make pizza, calzones, rolls, bread sticks, and more. It really is a universal dough recipe that is quick and easy to make. This is also a great recipe to get your kids help with. My son loves adding the ingredients, and then later making his own pizza or calzone. 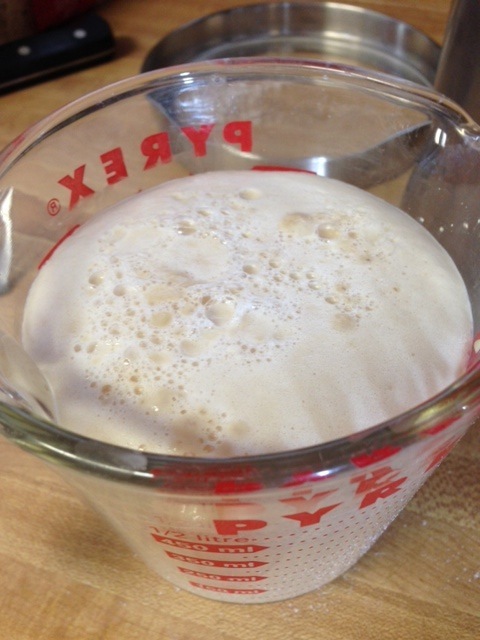 In a bowl or 2 cup measuring glass, add the yeast and sugar to the warm water. Wait till the yeast becomes active and begins to bloom/create bubbles. Then, add the extra virgin olive oil. 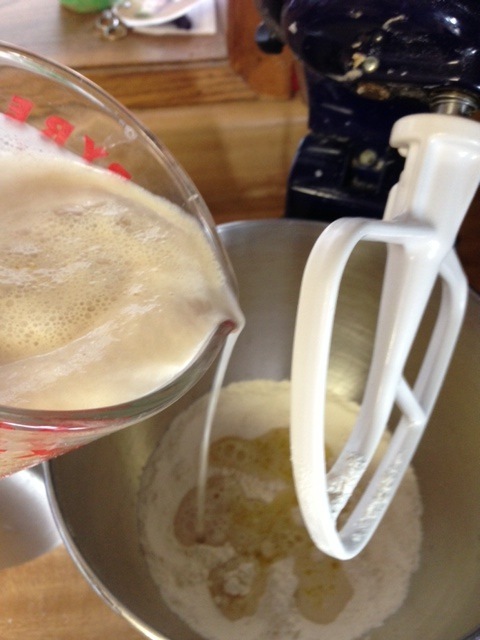 While the yeast is activating, combine 1 cup of bread flour and salt together in your mixer. 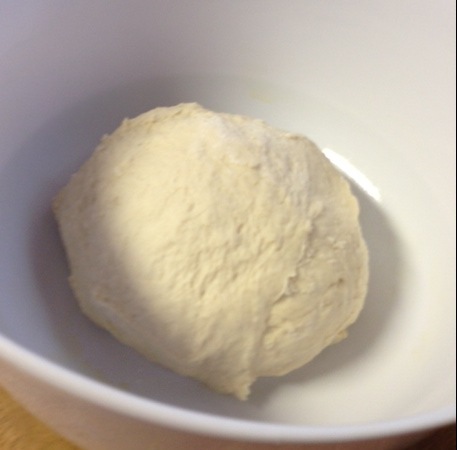 Once yeast has “bloomed” add the yeast and water mixture to the flour and mix. I use the attachment pictured above for my Kitchen Aid mixer to start with. Continue adding flour 1 cup at a time until the dough becomes sticky. At this point I change out the paddle attachment and use the dough hook attachment. Then, I continue to add more flour 1 cup at a time. Once the dough no longer sticks to the sides of the bowl, and when you touch the dough it is a tiny bit sticky, but doesn’t really stick to your finger, you will no longer need to add flour. 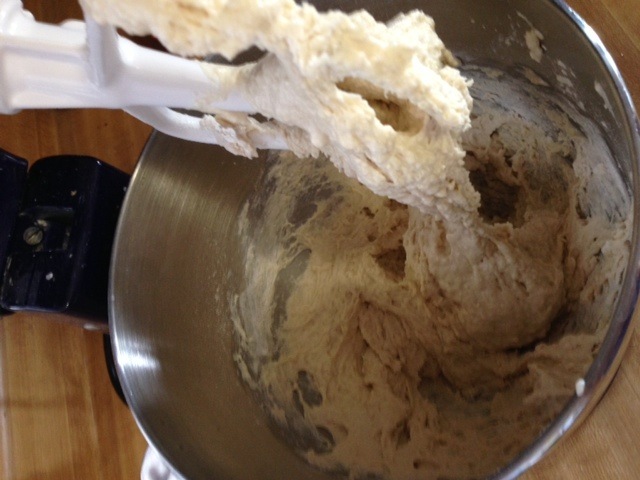 If you don’t have a mixer, add flour and kneed the dough by hand until it comes together to form a dough ball. 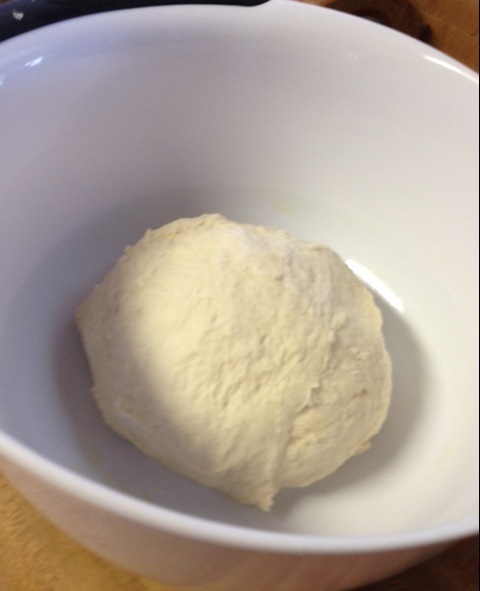 Form the dough into a ball, place in a oiled bowl, cover, and let rise in a warm area until doubled in size. 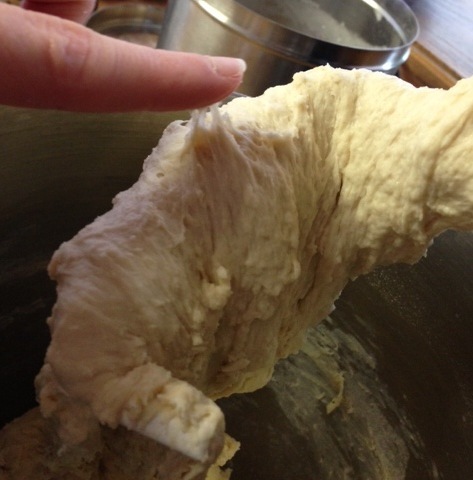 Once the dough has doubled in size, punch the dough down, and it is ready to use! like the recipe, but oven temp and baking time would be helpful. I bake my pizza crusts and calzones at 400 degrees F. Sorry I forgot to add that.